New York – Against the back drop of a newly elected U.S. House of Representatives that now supports reproductive health, comprised of more women and people of color than ever before, the midterm election also ushered in similar state-level victories that will enable advocates to secure new protections for reproductive health, rights, and justice. 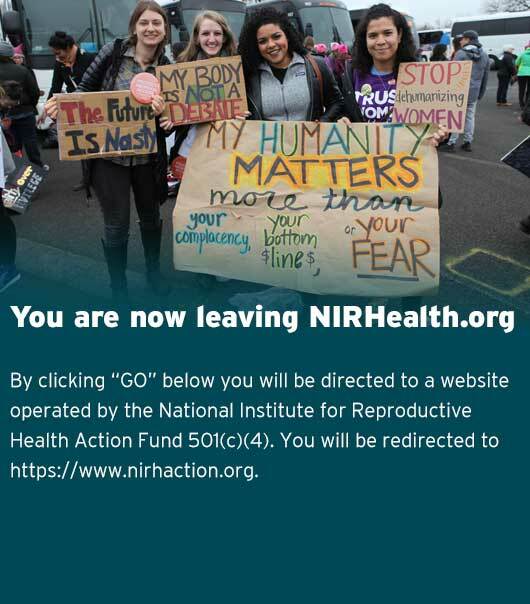 The National Institute for Reproductive Health Action Fund (NIRH-AF) has partnered and worked closely with state-based organizations around the country, including in New York, New Mexico, Oregon, Massachusetts, and Delaware, to secure election night victories that ensure those states are now or can continue to be poised to lead the way on abortion rights and access. These victories represent an imperative – and what the nation needs – in the wake of Justice Kavanaugh’s confirmation to the U.S. Supreme Court. New York flipped its state Senate to a decisive pro-choice majority, solidifying a state government fully supportive of abortion rights and access for the first time in decades, paving the way for passage of state-level protections early in the next legislative session. Oregon voters rejected a ballot initiative that would have withheld abortion coverage from public employees and those eligible for Medicaid, while electing key statehouse champions and their current pro-choice Governor. New Mexico elected the most diverse and women-centric ballot the state has ever seen, including new legislative champions who will be important allies to their newly elected pro-choice Governor. Massachusetts voters jettisoned the state’s most vociferously anti-choice member of their House of Representatives, building on their legislature’s historic vote to decriminalize abortion in the Commonwealth. Delaware voters rewarded legislators who repealed their criminal abortion ban with re-election, while adding new allies to their ranks. We applaud our partners in these states: NARAL Pro-Choice Massachusetts, NARAL Pro-Choice Oregon, Planned Parenthood Advocacy Fund of Delaware, Planned Parenthood Votes New Mexico, and Strong Families New Mexico. The NIRH Action Fund is also heartened by victories in Governors’ races in states such as Connecticut, Kansas, Illinois, Maine, Michigan, Nevada, and Wisconsin, and that critical state legislative chambers flipped in Colorado, Minnesota, and New Hampshire. These wins set the stage for both new advances for proactive policy initiatives as well as protection against additional state-level limits on reproductive rights and abortion access. At the same time, it is clear that there is still more work to be done. The passage of West Virginia Amendment 1 and Alabama Amendment 2 – ballot measures that roll back abortion rights and access – is further evidence that advocacy at the state and local level has never been more important.